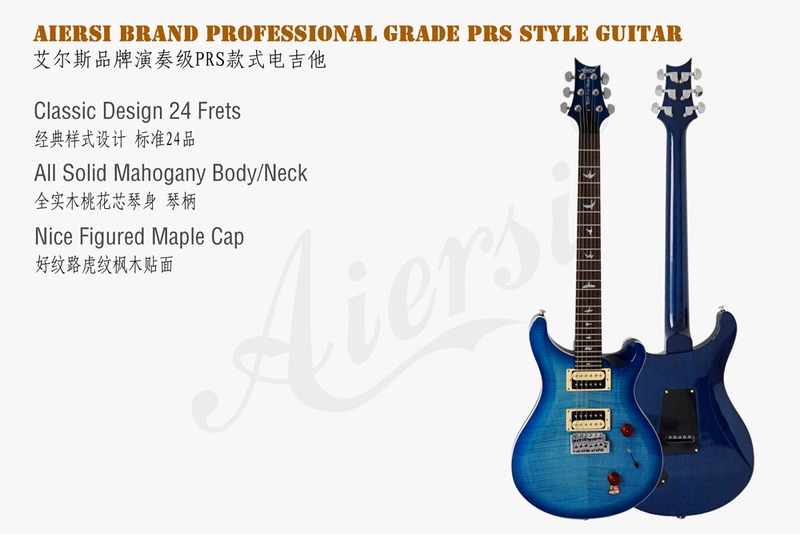 The Aiersi PRS24 is a beautiful and well-made electric guitar. 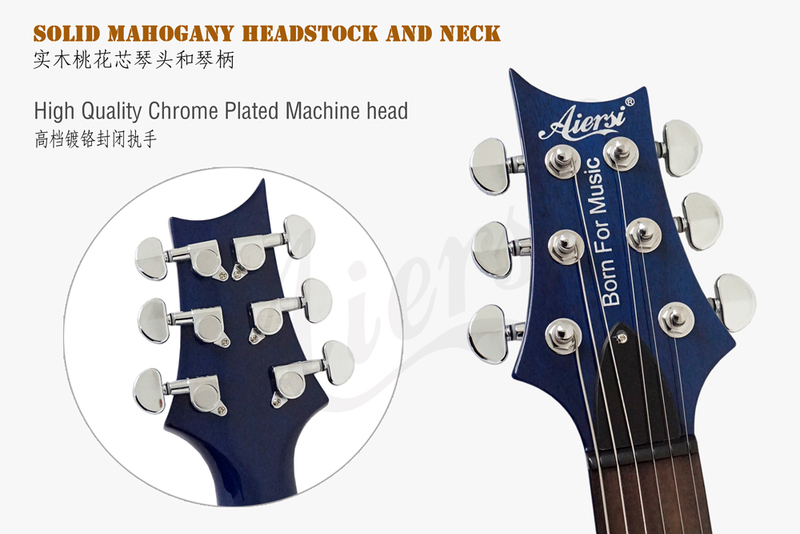 The finish is flawless from the head stock to the neck to the body. 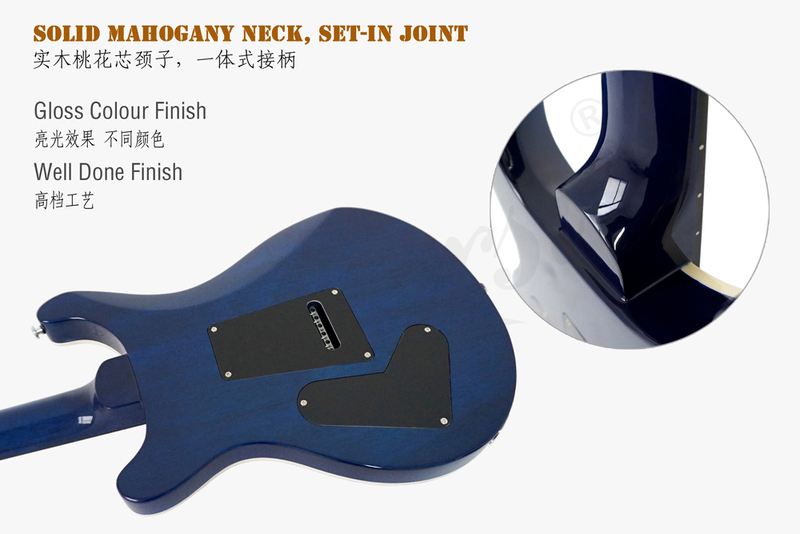 The mahogany body is very light and easy to play. The action can set as low and keeps in tune well. The two humbuckers with the 3 way switch and split coil option allows you to cover many styles from rock to jazz to country and back again. It is a true classic style and plays and sounds great. Don’t pass up a chance to try out this wonderful instrument – made by Aiersi. PRS24 comes with padding bag . Many thanks to Devon for great communication throughout the buying/delivery process 1st class service. 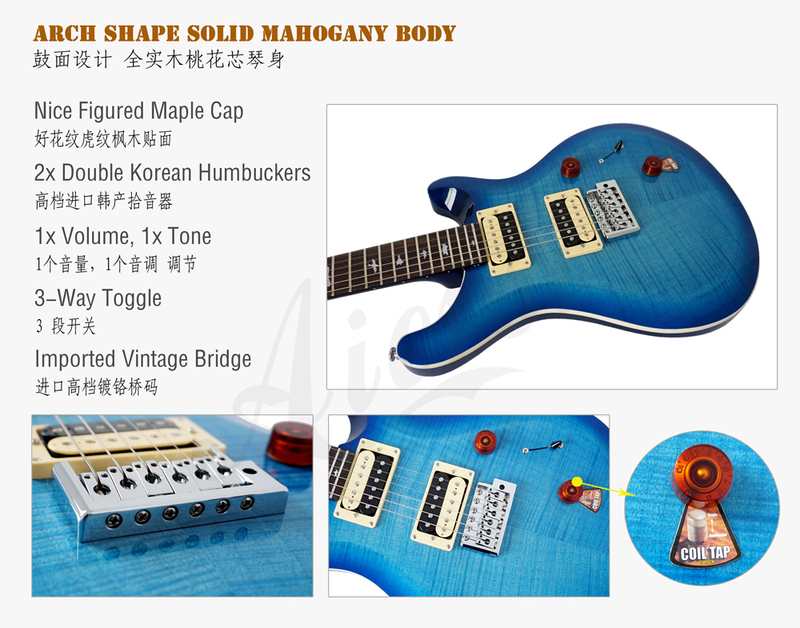 I ordered the PRS24 A Season Fade finish with hard case ,it was extremely well packaged and arrived in the timescale given buy Devon and was easy to track with the given tracking number via Fedex. The PRS24 as described above is a super fine guitar,the finish is excellent. the action is super low and the next is very fast. I have used it on 5 gigs since just before Christmas and it performed flawlessly,the pickups performed great at high volumes with distortion so no worries on rocking this guitar. 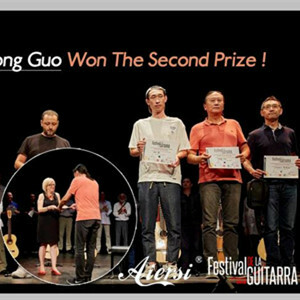 All in all 5 out of 5 for a great guitar and customer service too. 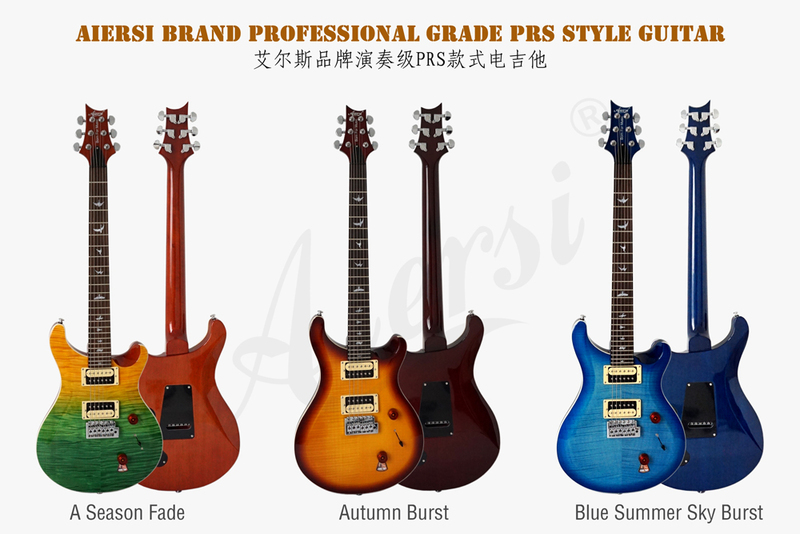 The Aiersi PRS24 is a beautiful and well-made electric guitar. The finish is flawless from the head stock to the neck to the body. The mahogany body is very light and easy to play. The action can set as low and keeps in tune well. The two humbuckers with the 3 way switch and split coil option allows you to cover many styles from rock to jazz to country and back again. The blueburst is a brilliant combination of colours and the binding adds a very nice finishing touch. 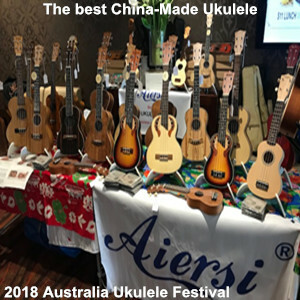 It is a true classic style and plays and sounds great. 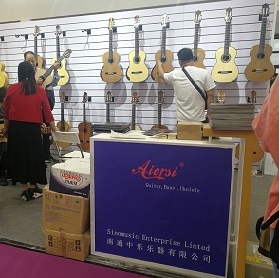 Don’t pass up a chance to try out this wonderful instrument – made by Aiersi. 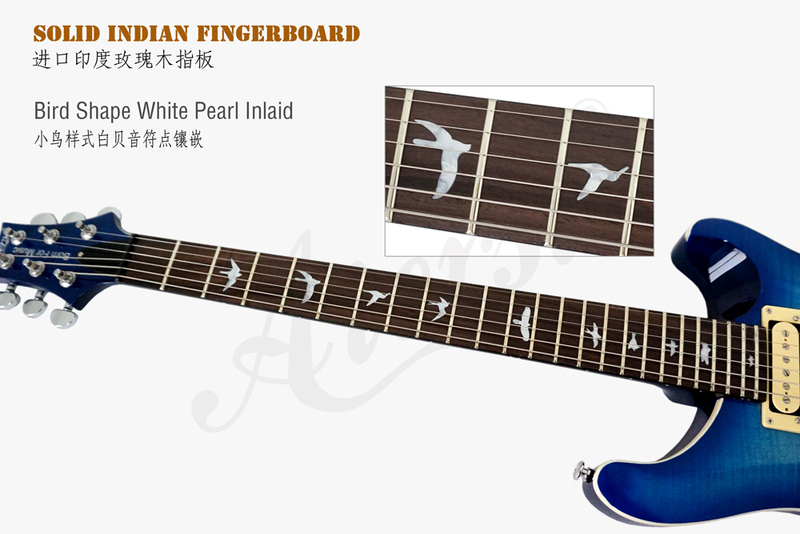 Its very hard to order these guitars in the US and get what you ordered !